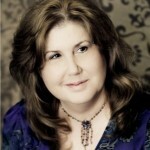 Today I have the awesome privilege of welcoming Carla Olson Gade to my blog. Welcome Carla. Lots of time to write sounds heavenly. When did you first begin writing? I’ve been writing since I was a child and still have a story I penned in sixth grade. Over twenty years ago I had aspirations of getting published. 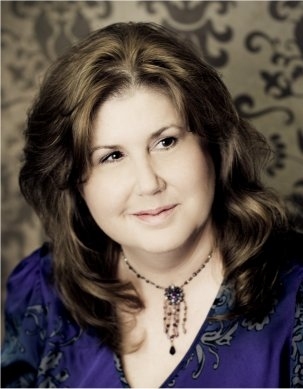 At that time I wrote articles, devotionals, and stories for my children. 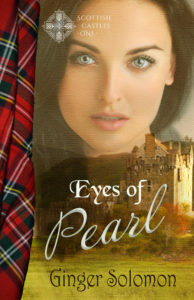 For the past 12 or so years I’ve been writing inspirational historical fiction “stories” and began my pursuit to learn the craft of writing for publication and preparing to be an author. What is the coolest, wackiest, or riskiest thing you’ve ever done? I think I’d have to say the 2 week road trip I took with my mother last summer. We went drove half way across the country to a family wedding and decided to make it a grand adventure to celebrate our forthcoming “big” birthdays. She was turning 70 and I was turning 50. It was an amazing time traveling from Maine to Ohio and back again. I did a lot of research, especially during our stay at Colonial Williamsburg. How exciting to be able to take a trip like that with your mother. I love Williamsburg. I’ve been there many times. Tell us about your latest book. 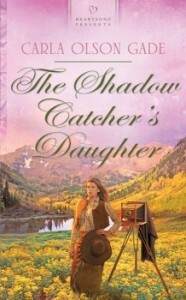 The Shadow Catcher’s Daughter is my debut novel, released through Harlequin’s Heartsong Presents line. It’s set in Colorado & New Mexico in 1875. Eliana Van Horn aims to make her mark by joining her father as his photography assistant on an expedition to survey and document the placement of a marker at the intersection of four southwest boundaries. Living in the shadows of his native heritage, a half-Navajo guide, Yiska Wilcox, is thrown off course when The Shadow Catcher’s Daughter opens up the uncharted territory of his heart. As they travel through dangerous terrain in New Mexico and overcome barriers of culture, faith, ideals, and secrets that they both keep, they at last discover common ground and stake a chance on love. Sounds wonderful. What inspired you to write this story? The concept was presented to me for the historical series Love in Four Corners by Darlene Franklin. She invited me and Susan Page Davis for this series, each of us setting our novel in a different time period relating to the Four Corners Monument at the intersection of Utah, Colorado, New Mexico, and Arizona. The Shadow Catcher’s Daughter is first in the series as it takes place during one of the earliest surveys. When I did my research, I became fascinated with the idea of my characters joining a survey expedition, fictitiously of course, though the survey is an historical event. I appointed Yiska as the guide and Eliana as a photography assistant. By the way, shadow catcher is what Native Americans called photographers, thus the title! Do you have any other books coming up? My next book is my novella Carving a Future in Colonial Courtships (Barbour) coming out in October. It’s set in 18th century New England along the Connecticut River where a ship’s figurehead carver rescues an indentured servant from her imminent demise. She works at his family’s inn and he will carve her likeness into a figurehead. Very romantic stuff in a time period I adore. In fact, I’m currently writing a novel set in colonial Boston for Abingdon’s Quilts of Love series called Pattern for Romance which will release in June 2013. Wow. It’s a good thing you have all that time to write. You’re a busy lady. How can we find you on the internet? You can find me at Writing to Distraction – http://writingtodistraction.blogspot.com where you can also find my links to Facebook, Twitter, and Pinterest. Thank you for having me, Ginger! Thanks for coming, Carla. Okay, readers, Carla has graciously offered to give away a copy of The Shadow Catcher’s Daughter to one lucky person who leaves a comment, but we must have 10 comments. Feel free to tell your friends and post on Facebook, or elsewhere. Be sure to leave your e-mail (your address[at]provider[dot]com) so I can notify you if you win. I am slightly envious of all the writing time you have! It’s great to meet you, Carla and congrats on your novel–looks great! Thank you! Nice to meet you, too, Susan. Trust me, I paid my dues. It is great to finally have the freedom to write as I wish now. I never thought I’d see the day. Loved showing you around CW, Carla, and glad to meet your wonderful mom! Looking forward to reading your debut and future novels! Such a grand time, Carrie. We both loved meeting you, you’re the best hostess ever. And I agree with Deb, you should get paid from CW for your PR work, a least give you a free lifetime membership! Thanks for stopping by! Congratulations Carla! I look forward to both stories this year and this plot line sounds great! Williamsburg should pay Carrie for her PR work, don’t you think? Thanks for hosting, Ginger. Cute blog and I’m surprised I haven’t caught it before. Thank you, Deb! I’m so glad you enjoyed the interview. I certainly agree with you about that PR business at CW and Carrie. Congratulations on your debut, Carla! I enjoyed your interview and envy you your writing time. Your stories all sound wonderful. It’s my first time visiting your lovely blog, Ginger. Very nice! Thank you, Lisa! That’s quite the compliment coming from you! Nice of you to come by ~ Ginger’s blog is so nice. I’m so glad she invited me here for an interview. Thank you Lisa. It’s still fairly new and I hope to add new things in the future (as time allows). Hi Carla! Oh, how I envy your time to spend writing, but I’m thankful you can (enjoy it for me, too, please!). I agree re: Castle since it’s one of the few TV shows I watch. You and I have many things in common, it seems. I loved the description of your book about how she opened the uncharted territory of his heart. That’s terrific! Congrats on your writing success, now and in the future. Many blessings to you. I’d love to win your book! I’m at jdurgin9587@att.net. Hi, Carla. Congratulations on your debut. The book sounds wonderful. And like so many others, I wish I had as much time to write as you do. Actually, what I really need is more discipline to write in the time I have. All the best as you write for His glory!